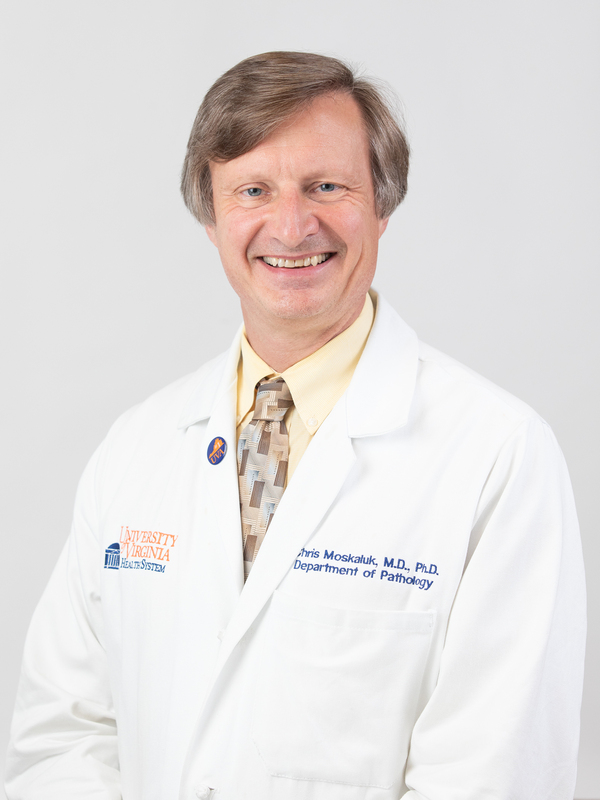 The Department of Pathology at The University of Virginia embraces the central role of its discipline at an academic medical center, fully engaging in clinical, educational and research missions. Our clinical faculty members have international reputations for their diagnostic expertise, solidified by authorship and editorship of major medical texts and journals. Our faculty carries out research that spans the spectrum of biomedical inquiry: basic research into biological and disease mechanisms, translational research that brings advances in experimental science to clinical utility in diagnostics and therapeutics, and clinical research that refines and advances current medical practice. Our trainees are integral to the success of our Department, and our training programs in anatomic, clinical and experimental pathology are designed for trainees to both learn from the expertise of their faculty mentors and grow as independent clinicians and researchers. Pathology as a clinical discipline provides an imposing but satisfying challenge to its practitioners. Anatomic pathology requires an encyclopedic knowledge of the histologic features of the entirety of the diverse organs of the human body and all of the pathologic changes that occur in neoplastic, infectious, autoimmune and degenerative diseases. Increasingly the incorporation of technology that includes in situ histologic techniques, correlative molecular analysis of tissue, and digital analysis of histologic images is transforming this field. Laboratory Medicine continues its inexorable increase in complexity and importance as medical diagnosis and management becomes more data-driven and new diagnostic technologies make disease classification more precise and sensitive. The incorporation of genomic-level nucleic acid sequence analysis and mass spectroscopy in several areas of laboratory medicine provides particularly exciting opportunities to offer enhanced diagnostic capabilities. Recent advances in diagnostic modalities have come directly from the development of these technologies for discovery and hypothesis based laboratory investigation. This transfer and translation of knowledge is where Pathology as a research discipline excels: to harness and direct findings and techniques in laboratory science toward better understanding and diagnosis of human disease. I invite you to explore our website to see how our faculty, staff and trainees are participating in the transfer of existing knowledge to provide exceptional diagnostic services to our patients, and are participating in the discovery of new knowledge and development of new technologies to push the boundaries of our discipline forward. Christopher A. Moskaluk M.D., Ph.D.